Beckhoff The globally successful Automation Company is a bunch of fearless thinkers. Fearlessness enhances efficiencies & allows freedom to think which gives birth to innovation. 30 years of PC based Control concept was born out of challenging situations & today is a hallmark of Innovative approach to Automation, whether factory automation, Building Automation or Process Automation or IT Automation. 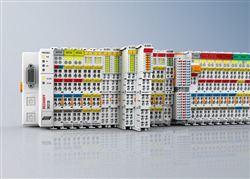 Beckhoff implements open automation systems based on PC Control technology. The product range covers Industrial PCs, I/O and Fieldbus Components, Drive Technology and automation software. Products that can be used as separate components or integrated into a complete and seamless control system are available for all industries. The Beckhoff “New Automation Technology” philosophy represents universal and open control and automation solutions that are used worldwide in a wide variety of different applications, ranging from CNC-controlled machine tools to intelligent building automation. First approach to the Indian market was back in 2001 when we got a contact to our first partner, Inteltek Automation. At that time, we had very limited knowledge about India and the India Automation industry. Through our partner, we got a first insight to the Indian market, made the first steps, and had the first success in business. It became clear to us that the Indian industry is developing rather quickly and that there was an evident openness and demand for innovative technology from Germany Over the years, we saw some progress in business but also identified that the Indian manufacturing Industry have huge engineering talent and resourceful engineers who are in search of right Automation technology tools and we need to invest more into the market with more dedicated focus , and provide more direct support (technical and commercial) to the industry. And this was possible with our partner concept. This, when we decided back in 2006 to open our own operations, as a subsidiary, with headquarters in Pune. 1. How has Beckhoff India evolved over the last decade? When you look back what is your view now? We started in 2007 with an initial team of around 5 people. Luckily, we had with our founding Managing Director, Jitendrakumar Kataria, who worked in our Software R+D team in Germany, a young energetic MD with strong technical abilities and big talent to build-up a team and business. He, with the support of our experienced starting team made it happen to constantly grow our team, expand our reach to the vast geographical market. Within a decade 7 offices around India and a strength of 60 well trained and experienced automation engineers and supporting administration professionals has given Beckhoff India a solid foundation to our operations to take a leap further. We won the trust of industry with many business partners, users and service providers (formerly called as “customers”) joining the New Automation Technology mission in India., Building reliable business relationships with focus on technology, innovation & value addition as key ingredients, it is indeed satisfying and motivating looking back at the decisions taken & the path traversed. 2. What were some significant challenges you’ve had to overcome and how did you get past them? As we had limited resources we were not able to provide services to our customer across India. Creating awareness about new automation technology concept, differentiating us from traditional automation products across different industry segments, reaching out to the end user industries and maintaining higher ethical business standards were other bigger challenges. Over the years we have now established our high performance standards and expanded our horizons to be within geographical reach of customers with 7 office locations across India that provide better & prompt technical support to our customer as and when demanded. Servicing our products in India was not possible in the initial phase of business. Over the years we have developed a service Centre in Pune with accreditation Level S1 and we are able to provide speedy service to those in need. 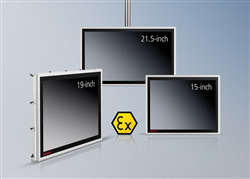 Beckhoff is known for PC based control technology. Initially it was a big challenge to make customers understand this revolutionary technology and develop their confidence in the same. Over the years customers have gradually understood the value potential of PC based control and the acceptance level of the same is increasing across industry verticals The relevance of PC based Automation for Machine Control is also well received by industry because the new requirements viz. IoT, Industry 4.0, asset management can be met with PC based control which provides the right platform. 3. What was your vision & how do you see the progress of Beckhoff India so far towards this? Our Vision was to Enable Make by India. We strongly believed in helping Indian equipment manufacturers to produce world class equipment’s using Beckhoff technology so that they can compete in the Global market. I would say we are pretty much successful in the same and still this work is in progress with our growing customer base in India. 4. How do you see the Indian Automation Business today and the future? 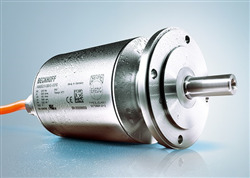 Beckhoff business in India is on continuous rise since inception. Thanks to our industry partners who have trusted us and our technology. What were thoughts and philosophies for starting/joining your present business? Automation is the KEY Technology for manufacturing activity and ITES integration was the future of connected factories. Graduating from Sensor level was essential. To what extent you feel having fulfilled your objectives today? 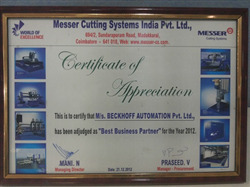 We have been successful in establishing BECKHOFF brand in India. 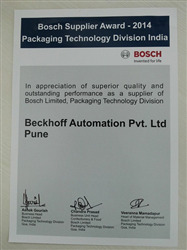 Beckhoff promotes Open Automation technology to Indian industries. We have been able to reach out to machine manufacturers and end users in India to provide Technical support, Spares Support, Trainings. Control systems plays an important role in machine performance and the fieldbus communication decides which sensors, actuators should be used. Shorter cycle times of Machines require shorter PLC cycle times and this is dependent on the Control System and its computing power. 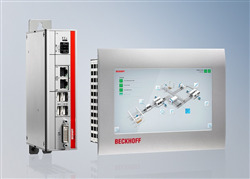 Today many technology focused machine builders in India use BECKHOFF Control systems. 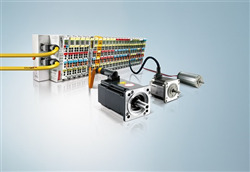 The leading global machinery brands are already users of BECKHOFF control systems for their complex machines. What according to you are your positive points towards growth and sustenance of your business? BECKHOFF-Enabling Made by India is an innovative campaign promoted by BECKHOFF India to enable Indian manufacturers and industries to produce innovative world class machines & products. Our growth story in past decade has been a testimony to our efforts. Make in India can be more effective if it is made by Indians. Our focus is to make our customers more competitive in their businesses. Would you like to describe briefly your product range? 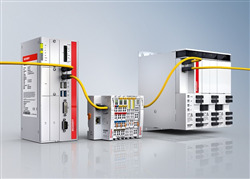 Beckhoff supplies the right Industrial PC for every application. High-quality components based on open standards and the rugged construction of the device housings mean that the Industrial PCs are ideally equipped for all control requirements. 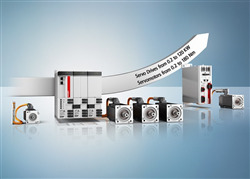 Embedded PCs make modular IPC technology available in miniature format for DIN rail mounting. 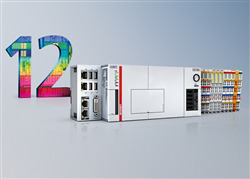 In addition to their application in automation, Beckhoff Industrial PCs are also ideally suited to other kinds of tasks – wherever reliable and robust PC technology is required. 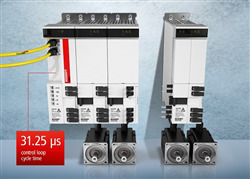 Beckhoff has the right technology for every signal and every fieldbus. 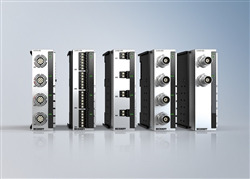 Beckhoff supplies a complete range of Fieldbus Components for all common I/Os and fieldbus systems. With the Bus Terminals in protection class IP 20, and the Fieldbus Box modules in IP 67, a complete range is available for all important signal types and fieldbus systems. 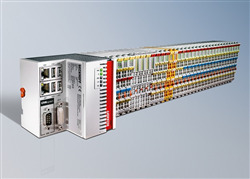 In addition to conventional bus systems, Beckhoff offers a complete EtherCAT I/O range for the high-speed Ethernet fieldbus based on EtherCAT Terminals, the EtherCAT Box and EtherCAT Plug-in Modules. 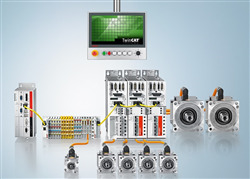 Beckhoff offers comprehensive system solutions in different performance classes for all areas of automation. 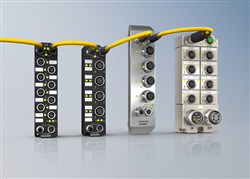 Beckhoff control technology is scalable – from high-performance Industrial PCs to mini PLCs – and can be adapted precisely to the respective application. 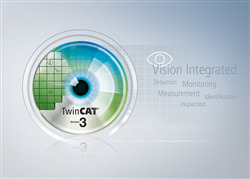 TwinCAT automation software integrates real-time control with PLC, NC and CNC functions in a single package. 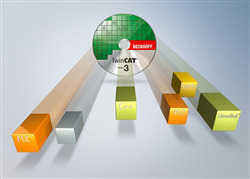 All Beckhoff controllers are programmed using TwinCAT in accordance with the globally-recognised IEC 61131-3 programming standard. With TwinCAT 3, C/C++ and Matlab®/Simulink® are available as programming languages in addition to IEC 61131-3. Does your product range contain one or two niche or special products that have excellent USP over other manufactures? If so, you may like to describe it? What are your considerations/ideas when you develop and introduce any new product or concept? Innovative Technology products that can add value to the buyer’s product, manufacturing process and can overcome existing operational, functional challenges that cannot be resolved with traditional Automation solutions. What are your growth/expansion plans for next 5 years? Beckhoff Automation India is set on a progressive growth path moving towards Mission100 & is setting up a Tech Centre for Automation Services to serve global customers. Industrial growth will be exponential in coming years with newer opportunities being created due to higher consumer demand in Urban & Rural markets. Infrastructure, Agriculture sector, Food Processing, Real Estate to name a few. All need smart Automation. Internationally, Beckhoff is 800M€ company with 4000 employees with presence in 75 countries. 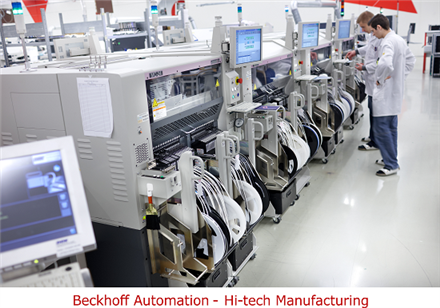 Since year 2000 till 2017 BECKHOFF is growing at 16% YoY which makes it a fastest growing Automation company globally. What kind of bottlenecks you anticipate in your growth plans for next 5 years, and how you plan to counter them? Skill development that matches industry needs is a biggest bottleneck. Competencies of Industrial engineers, Automation engineers, Instrumentation engineers must be enhanced substantially to enable them become industry ready as quickly as possible. Need for automation engineers will grow. Beckhoff Automation India has engaged itself with Academics to train young UG/PG students by setting up PC based Open Automation technology Centre. BVB College of Engineering Technology Hubli, PSG College of Engineering, Coimbatore, Vellore Institute of Technology, Manipal Institute of Technology, National Engineering Institute Mysuru, IIT Madras, Delhi are already engaged with PC based Automation Technologies. National/local competition is mostly from business units that come up by copying a leading brand with less features, less quality and less price. Do you have experience of it? Competition is welcome that brings openness & innovation. Buyer should study the value propositions and look at their own Asset Life Cycle cost than product cost. A lower priced product that piggybacks on established brand’s market can serve short term purpose but are never available as long term solutions. Long term availability, Reliability, highest standards of manufacturing & TRUST always come with a price TAG because it takes years to build. How you see the onslaught of international competition in your business segments? India’s growing middle class and rising lower middle class is the largest consumer base driving demands. We are opening up our markets to global players. But global competition will be disruptive and our industries have to counter it equally. In our business segment most of the products are global. But Beckhoff offers global technology rather than products. Hence creative automation solutions, innovative machine designs using the Beckhoff technology can counter global competition. What are your suggestions and plans for countering such competition – both national and international? Global Competition is welcome. Innovation with latest Technology is the only answer to onslaught of Global competition. Hence Indian engineers need to be highly skilled in engineering sciences and Automation to remain competitive. India has a large pool of young talent that needs to be channelized for industrial growth. Do you have any activities in practice for improving performance, loyalty and retention of your employees? You may like to mention those here along with your experience. Beckhoff enjoys high employee loyalty due to policies that trusts its employees and allows them to be accountable and responsible. Would you like to mention about your CSR activities towards society? Beckhoff India has been supporting Schools in rural areas and schools for needy with providing facilities for Drinking Water, reading material, infrastructure facilities etc. However more needs to be done as we grow further. Education & motivation helps make better citizens. 18% growth is good symbol. Keep-it-up.